After a long flight it is important to have a recovery day before stepping into the classroom. You want to be as fresh as possible as you present to your students. 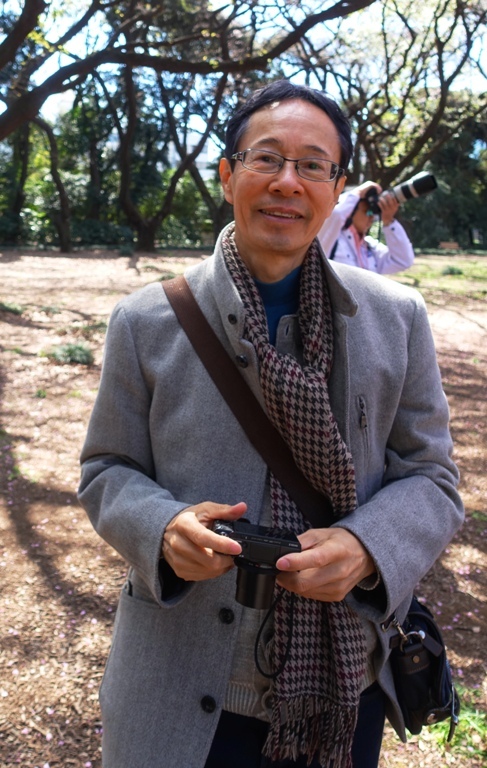 I met up with one of my former Japanese colleagues who had retired several years ago. We shared some memories of the many years that we worked together as we visited some of the areas around my hotel. 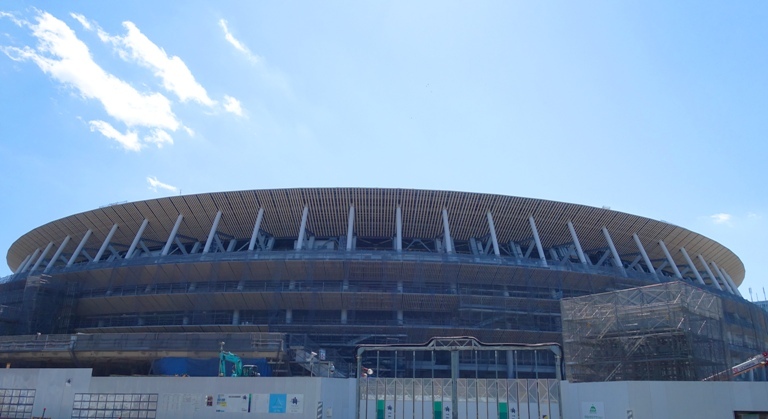 We first walked by the office and then headed toward where the new Olympic Stadium for Tokyo 2020 was under construction. It is a massive stadium. I may have to write a separate post with more pictures of the stadium construction. I had some memories stream back when I saw this picture on a bus stop. I remember years ago visiting Nagoya and the engineer driving me past the house where Ichiro Suzuki grew up. Ichiro was in the news this week. 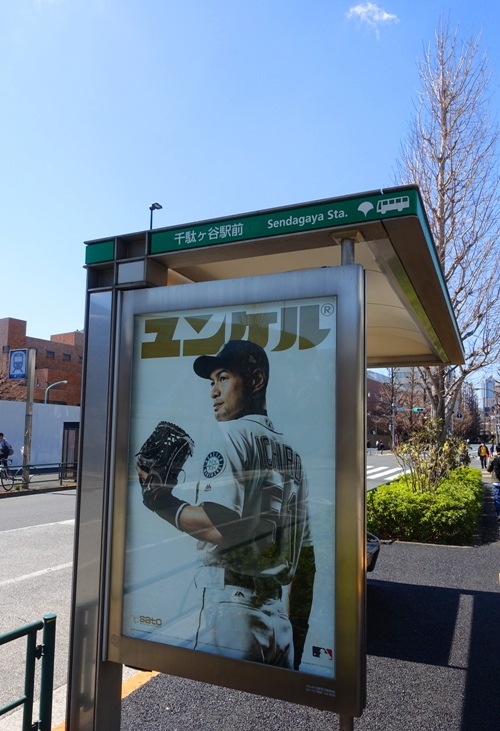 The Mariners and A’s played their first two games of the season here in Japan, so Ichiro was able to play his last games close to home before retiring. 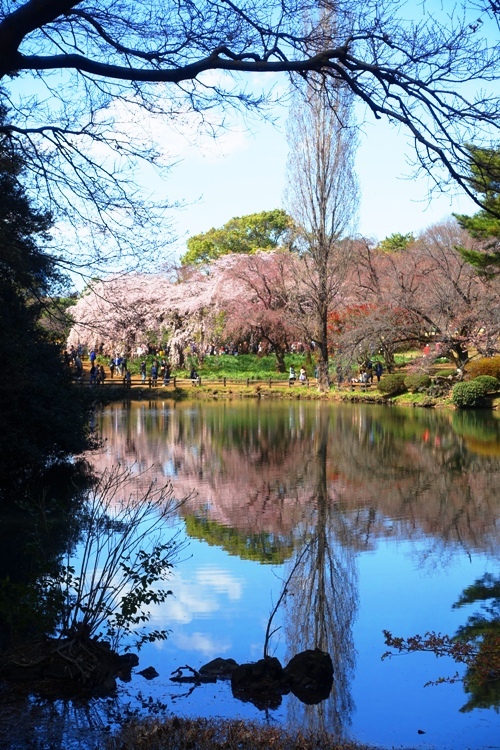 Our next stop was Shinjuku-gyoen which is a large park and garden dating from the Edo period. The cherry blossoms were just beginning to appear and it was very colorful there. 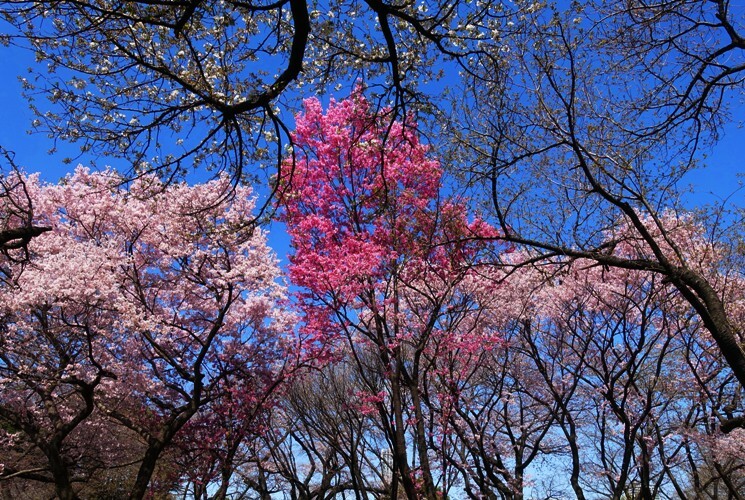 It was also a nice day and the park was full of people enjoying the cherry blossoms. The park was absolutely beautiful and we really enjoyed walking around viewing the different trees and flowers. Someday I want to go there when the roses are blooming as they have a very large rose garden. This is one of my favorite pictures from the day. 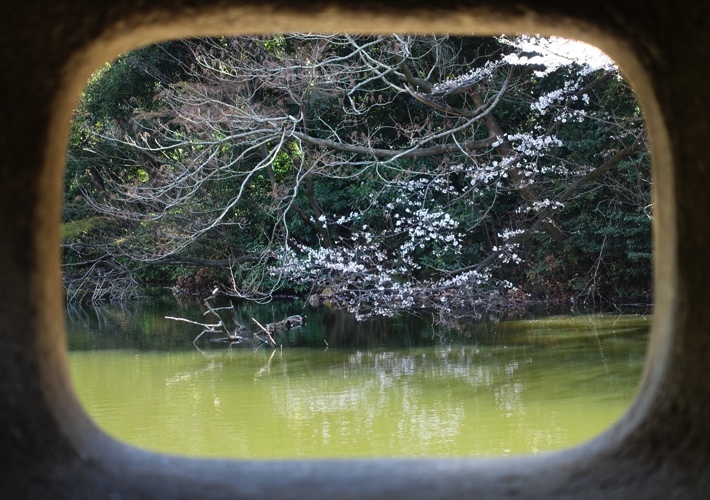 The view is through the fire box of a stone lantern. This picture is so peaceful compared to what was going on around. It is hard to see in the picture above, but there are also several ducks in the picture. I hope you enjoyed this tiny sampling of the hundreds of pictures that I took yesterday. Now, off to the classroom. This entry was posted in Construction, Culture, Flowers, Japan, Nature, Seasons, Travel and tagged Cherry Blossoms, gardens, lantern, Olympics, Shinjuku-gyoen. Bookmark the permalink.